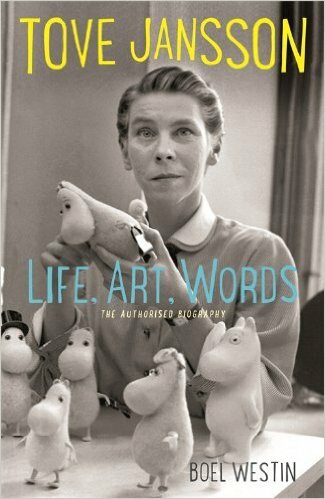 Tove Jansson: Life, Art, Words is a weighty illustrated doorstop of a book by Boel Westin and is Jansson’s authorised biography. Until a few years ago she was only known in the UK for her children’s books about the Moomins. Moominland Midwinter, Moominsummer Madness and Comet in Moominland (there are five others) are in the class of anthropomorphic literature thought to be only marketable for children because of the apparent simplicity of their plots, characters and illustrations. Winnie the Pooh and The Wind in the Willows are two others of the same category. Generations of devoted fans will know otherwise, that these are timeless classic tales for people, about life and overcoming its challenges. Boiling the essence of these novels down into a lowest common denominator reveals their shared characteristics. The most appealing and important one for me is their willingness to show uneasiness. Eeyore is miserable and that’s perfectly fine, except for those who don’t like to see unhappiness close up. The Wind in the Willows is a sequence of stories about protecting one’s safe places from the terror of outside. The Moomin stories talk about isolation and misery personified by the ground-freezing Groke. Or so I thought. Boel Westin’s biography suggests that the Groke is a personification of homophobia, since Tove Jansson’s most fulfilling and happiest love affairs were with women. 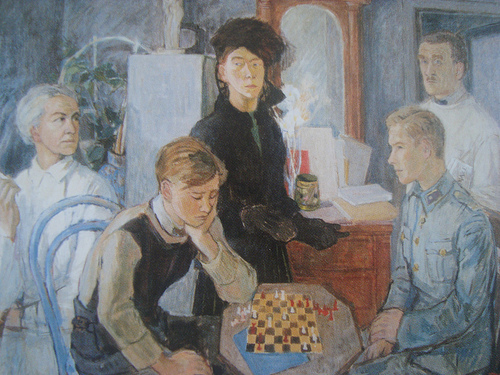 Moominpappa’s manic unhappiness in Moominpappa Goes to Sea draws on Jansson’s father’s change in character when he returned from serving in the Finnish Civil War of 1918. In this war he fought with German troops against Soviet Russians, which made his allegiances in the Second World War very hard to accept. Such personal difficulties infuse her stories silently, and –they have been appearing in English translation for some years – Jansson’s adult fiction is also revealing what was important in her life. Sort Of Books, who published these translations, also commissioned this translation of Westin’s 2007 biography. It’s like opening a huge new archive that has suddenly appeared in the library, that uses a different voice to the one we who only know Jansson in translation have come to think is hers. Editorial and translating decisions loom large for Westin’s project of interpreting as well as recording Jansson’s life. She does this in what must be the Scandinavian style of biography, since it resonates with what I know of how the Dutch and German write. Translator Silvester Mazzarella has to follow Westin’s lead, and hold back from making the editorial corrections that a British editor would think essential, to avoid repetition, establish linearity, finding the thread of narrative. The English or Anglophone style of telling the story of a life is to begin at the birth of the parents, sometimes even the births of the grandparents, and then carry on chronologically until the death of the subject is reached. There may also be prologues and epilogues setting the scene, establishing a key moment in the Life to act as a theme or magnet for what follows, but the story is linear. Westin structures Jansson’s biography in jerks and judders, moving back and forth through time in a back-stitching mode: two steps forward, one back or sideways, and repeat. It’s not wrong, it’s just very, very different, so be advised that Tove Jansson: Life, Art, Words is a book that will tip you off balance. Jansson would have been quite pleased at the way non-Scandi readers have to hop around on ice floes of events told out of sequence. It’s a fine book, nonetheless, essential for Jansson completists, and very revealing for those who want to find out more about Moomins and What They Mean. Additional pleasures include realising one’s shameful ignorance of Finnish art, theatre, politics and philosophy, since Westin expects, obviously, all her readers to know the references. Tove Jansson’s passionate devotion to her mother and brothers, and her prickly relationship with her father, suffuse her life. She won a scholarship to paint in Paris for a year in the 1930s, and despaired of finding a teacher who wasn’t completely dogmatic but would just let her draw the way she needed to. She was a prolific satirical cartoonist during Finland’s Nazi occupation. She built her own cottage out of driftwood on an archipelago island. 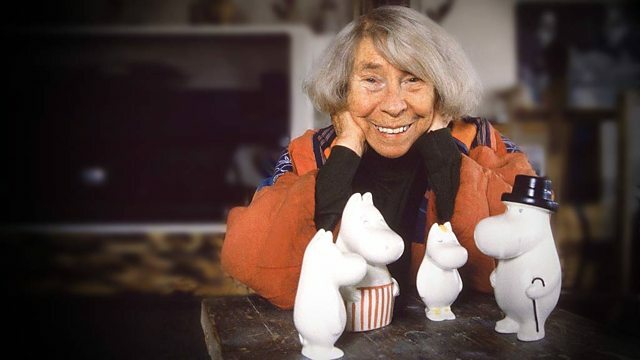 When the Moomins first appeared on stage she wrote the scripts, designed the sets (and sometimes built and painted them too), designed the costumes and then fled, not wanting to watch the performances. She spent a year travelling with her partner in the 1960s, leaving her younger brother with a stack of pre-printed postcards to send out in reply to her fan mail: ‘My sister is travelling for a year and will reply to your letter on her return’. Astrid Lindgren asked her to illustrate the Swedish edition of The Hobbit, but nobody liked the drawings (I do: I’ve got the 2016 calendar of them). She was timelessly stylish and elegant. This edition of the biography is packed with her illustrations and designs, and with photographs of Tove, her family, friends, studio and paintings. It’s wonderful. Fascinating. I had two Moomins books as a child which I read again and again. 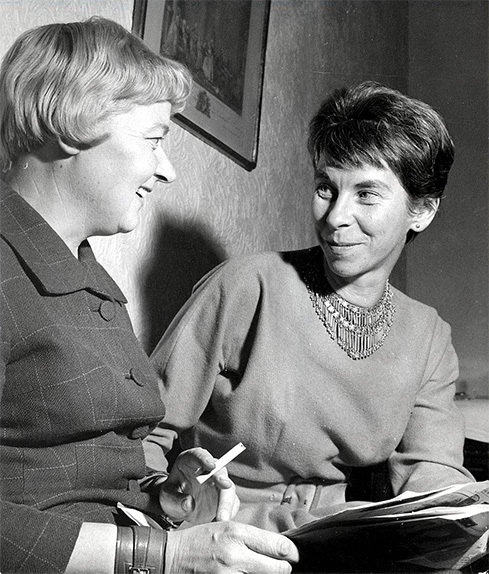 I had no ide Tove Jansson write other books or painted. I will have to find out more.